It's Easter in two weeks and that means two glorious four day weeks and lots of chocolate. I promise there will be an eggscellent egg round up later in the week, but first here is a little run down of the cutest confection on the shelves right now. These li'l guys are sweet, aren't they? 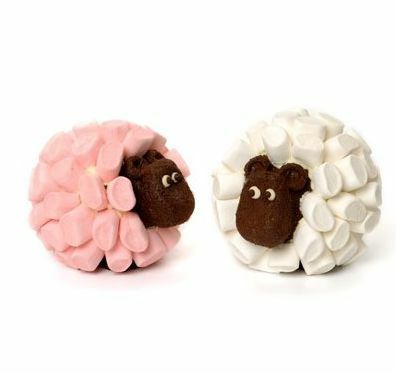 The handmade chocolate sheep are covered in mini marshmallows to make them fluffy. They're £27.99 from Choccywoccydoodah. Oh, how adorable. A little cocolate chicken coup! 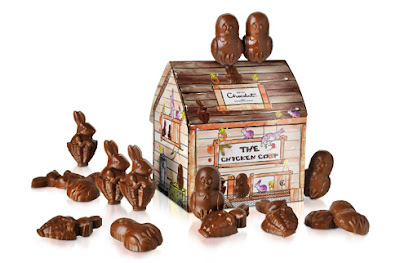 It's also got bunnies (eat them first so the chickens are safe). £9 from Hotel Chocolat. What a handsome fellow this gentleman hare is. He's got a cravat! 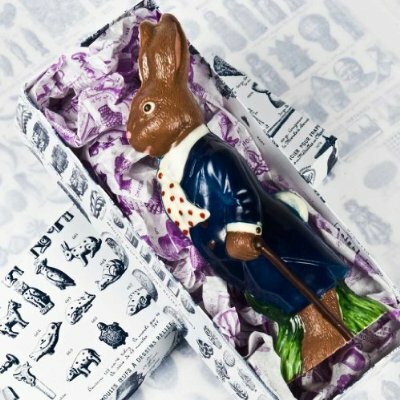 He's handmade in Rococo and he's very fancy indeed. Him and his whiskers are also quite fancily priced at £37.50. 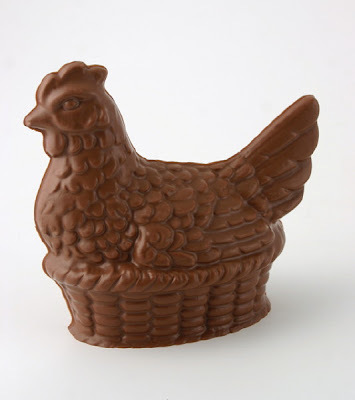 You're going to need to buy some little eggs to go with this chocolate hen. She's £8 from Madame Oiseau. But I bet you make clucking noises as you break her beak off. Or you could just buy me some Cadbury caramel bunnies - just £1 for three packs at Sainbury's. They're brilliant and I would like 24 packs please.